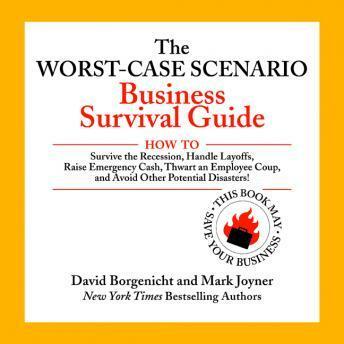 How to Survive the Recession, Handle Layoffs, Raise Emergency Cash, Thwart an Employee Coup, and Avoid Other Potential Disasters! Layoffs. Sales slumps. Dangerously low morale. Extreme cash tightness. Reorganizations. It's a scary world out there. Times are as tough as they've been in decades. More than ever before, companies are struggling to make ends meet, having to cut costs, lay off employees, delay new endeavors-and focus almost exclusively on SURVIVAL. And until now, there's never been a good, clear, step-by-step guide for businesses facing such sudden turns for the worse. This Audio Book May Save Your Business. And many more answers to the most dangerous situations your business will ever encounter. Most importantly, you'll get the basic training you need to make sure you're prepared-and that this NEVER HAPPENS AGAIN.